Erin was my guest on episode 170 of the Juicebox Podcast. Check out her episode and her blog, 'Sugar Rush Survivors'. After my son’s diagnosis in 2013 at the age of 21 months old I did what a lot of parents do when faced with a life altering diagnosis. I searched online for anyone sharing their experiences with type 1 diabetes (T1D). I joined Facebook groups, read blogs and listened to podcasts. One source I found was Arden’s Day by Scott Benner. A few months ago on one of the T1D Facebook pages I follow I saw a post by a familiar name. Scott asked for input from fellow parents of children with T1D for his Juicebox Podcast. I thanked him for his podcast with Dr. Denise Faustman and offered to talk with him for the podcast. We connected on Skype and recorded an episode titled, 'Just another Tuesday with Type 1 Diabetes'. I have experienced the instant bond among T1D parents many times now and it just never gets old. Being able to look another person in the eyes, knowing that they understand the triumphs and fears of this daily life is incredibly reassuring. To hear compassion in another person’s voice in answer to my questions and frustrations makes it easier to continue with the hundreds of decisions I make to keep my son’s blood sugar in range as much as I possibly can. Scott has brought that compassion and understanding to listeners all over the world and is continuing to make the diabetic online community (DOC) a landing pad of understanding and education. 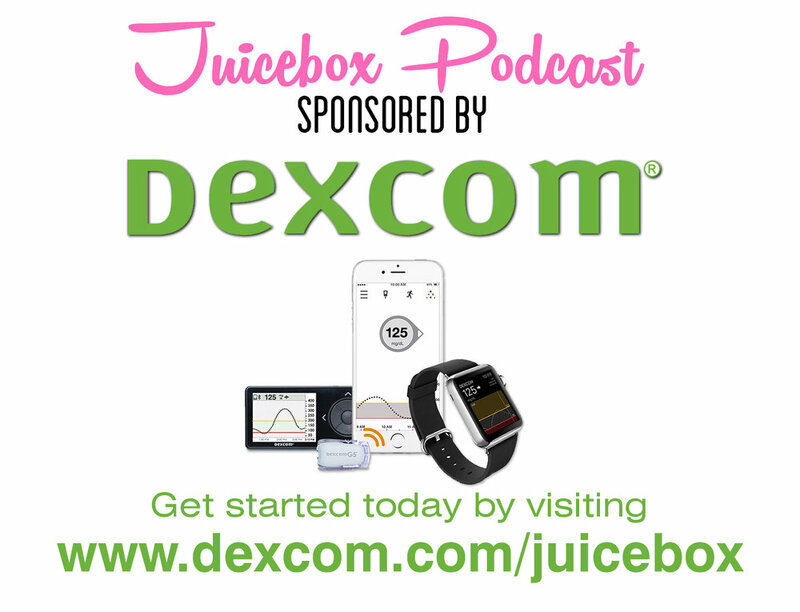 When we spoke for the podcast he encouraged me to lower my son’s Dexcom high alert from 170 to 130. I had been nervous to lower it prior to talking to him but I tried it. It has helped us keep his blood sugar in range by alerting us of rising blood sugar so we can act on it sooner than we had previously. I found another powerful connection when I met my friend and blog partner Alese. When my son was diagnosed a few months shy of his second birthday we were in the hospital for four days of intense education before we were allowed to be discharged. We had so much information crammed into our heads in such a short time but my son was still so young that he couldn’t tell us how he felt with highs, lows, or the in-betweens. When I met Alese I was grateful that she could translate how highs and lows feel for her. But I was shocked and dismayed to find how little information she was given upon diagnosis as an adult. As we realized how powerful this connection and exchange was for the two of us, we decided we couldn’t keep it to ourselves, and the idea of jointly writing a blog was born. Sugar Rush Survivors is our attempt to share with others what has worked for us, what still frustrates us, and what lifts us up in our daily management of T1D. In addition to the blog page we manage the Sugar Rush Survivors presence on Facebook, Instagram, and Twitter. 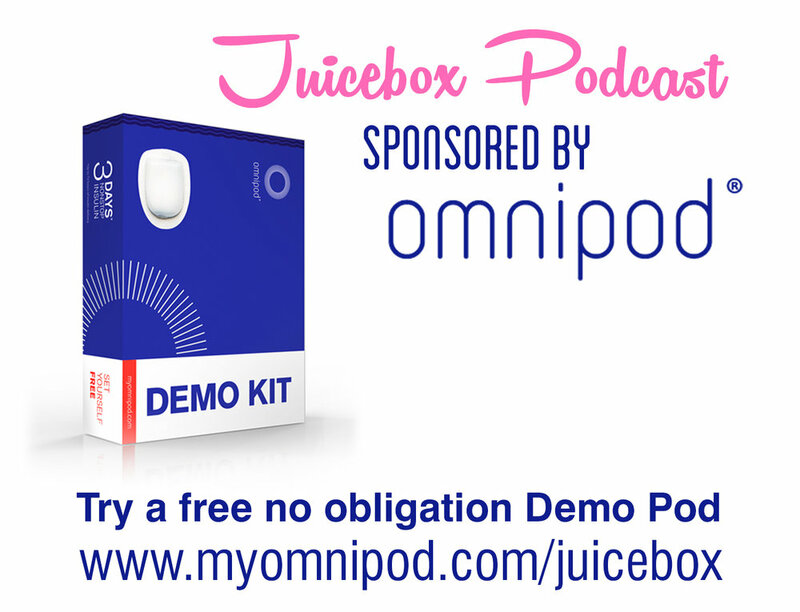 If you haven't already listened to D-Mom and volunteer insurance advocate Samantha Arceneaux on the Juicebox Podcast go ahead and click play on that player you see below. 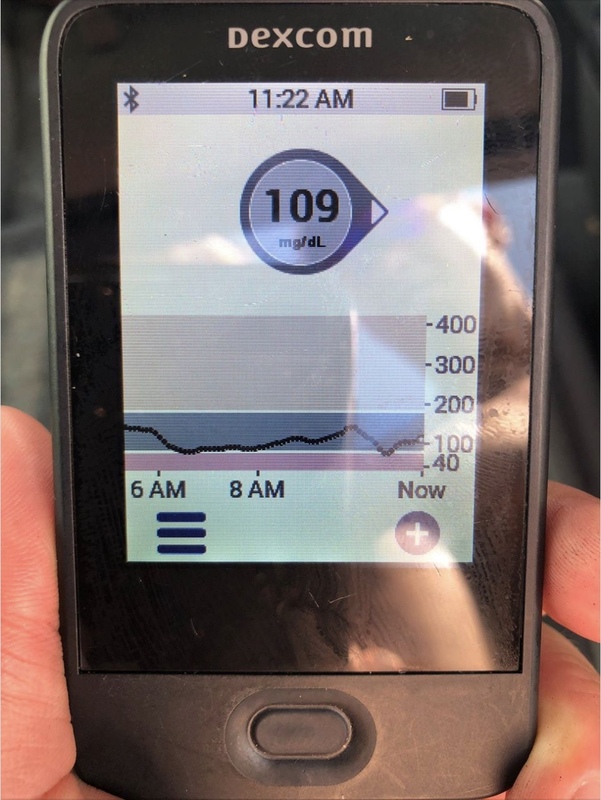 -- Sam is a never ending font of information on how best to appeal your insulin pump or continuous glucose monitor insurance denial and she was kind enough to write this guest post for Arden's Day. The mother to Mikayla a T1 5 year old diagnosed at 22 months old, Samantha has spent the last several years as a volunteer diabetes insurance advocate, helping other parents fight insurance companies for insulin pump and CGM coverage. Sam is brilliant and these are her 10 steps to take when you've been denied by your evil overlords (medical insurance company). Did you receive a denial letter? If not, investigate to find out why. Was the supplier incorrect? Were they in-network? Double check your pharmacy benefits to see if you can gain the item that way. If it’s a company plan, ask your HR department if they might be able to override the denial. Ask your doctor to complete a peer-to-peer review with the insurance company. If still denied, ask the doctor for a letter of medical necessity. Look at why they are denying, then compare against your medical records and the insurance’s medical/clinical policy or guideline. Find if they incorrectly applied their policy to your situation, or if they are using outdated data. Do your research. See if there are new studies that prove your medical request is supported by professional recommendations or research studies. Aim to have 2-5 relevant studies/statements. Go for the appeal. Insurances want a medical need established and why it (the item being requested) has the potential to lower their costs. It cannot be emphasized enough, what you put into it is what you can expect to get out of it. a) Include what the system/supply does medically in a few short sentences, don’t assume they know. It will make the rest of your arguments more effective if they understand the concept behind the device/supply. b) A modicum of formality can be helpful as well, as the insurance will be unsure of who actually wrote it; was this the patient, an advocate, an attorney, a doctor? It may imply to the insurance reviewer that you are not going away easily. c) Fight against any outdated research the insurance uses in their medical policy, or if they failed to gather/review your medical data that supports your need for the device/supply. d) Quotes from the research studies or statements are helpful, since they will not be looking up the studies themselves. Paraphrasing is also encouraged. Just remember to cite the study/professional organization each time. So you win the appeal and get approval. I strongly advise getting it in writing before you order the supply/device. This will be your evidence in the event something isn’t properly posted in their system, such as length of approval (should be for 1 year). If you do not overturn the denial on appeal, try again. Typically you will have two internal reviews that are done by the insurance companies before going on to the external review. The external review is completed by independent reviewers and tends to be more impartial, which means a higher chance of getting approved. (Medicaid/Medicare products may have more levels of appeal available). For non-covered items: You will need to request a formulary exception. This means that you recognize that it isn’t a covered product but still feel that it is medically necessary and should be covered by your insurance. Treat this as an appeal situation. For non-preferred items: If a drug or supply is non-preferred, you will ask for a tier exception. This is basically where you give the insurance company a medical reason why you cannot utilize the preferred item and ask that they give you the non-preferred item AT the preferred rate. This typically is a pharmacy situation. Visit Sam's blog to read her other detailed information regarding insurance denials. Sam rocks! When I am not feeling my best, I seek support. When I am feeling positive, I try to give support. When I was diagnosed with type 1 diabetes, I was 13 years old and I had no idea what type 1 diabetes was. I also didn’t know that social media could have really helped me in that moment. It took me a couple of years to realize that social media could be a huge outlet to connect with others going through the same daily monitoring to take care of themselves. It can be easy to feel isolated when living with type 1 diabetes. We have to take care of ourselves, and monitor our health in ways that most will never have to. Whether you prefer Facebook, Instagram, YouTube, or other sites that provide support, you can voice your concerns, your worries, your progress, or just have a good laugh! Jenna is in Instagram @DiabetesTips - Search in your app or click on this image to check her out and follow. Social media has provided an outlet for me that helps me relate to others, and hopefully help others with type 1 diabetes. I love being able to support others who may be having a tough day, and talking to others who are dealing with the same bumps that I am. It can be very easy to feel different, or cut off from the world when you are living with a chronic disease. However, diabetes has actually helped me in many ways that, as a society I feel we tend to ignore. Yes, I have had sleepless nights, scary lows, scary highs…..but through all that pain I have also learned to move on, and to get on with life. Diabetes has taught me to be more patient with others as well as myself. I have also learned to forgive others as well as myself. As you all probably know, if you don’t forgive yourself for those little mistakes, you will go crazy! When you know how it feels to have a chronic illness, you can empathize with others who are also going through something similar, even if it is not type 1. We can learn from each other through social media. We can all share tips, and tricks that we may have found over the years whether they relate to physical or emotional wellness in our management. Social media also helps me stay inspired in my management. When I am not feeling my best, I seek support. When I am feeling positive, I try to give support. We can all give and take from each other. Through social media, we can help others forgive themselves, support each other through sleepless nights, and also add a little humor to type 1! You can find Jenna on Instagram @DiabetesTips and I am on Instagram @ArdensDay. Jenna's episode of the Juicebox Podcast can be found here, listened to below, on iTunes or where ever you get your podcast fix.